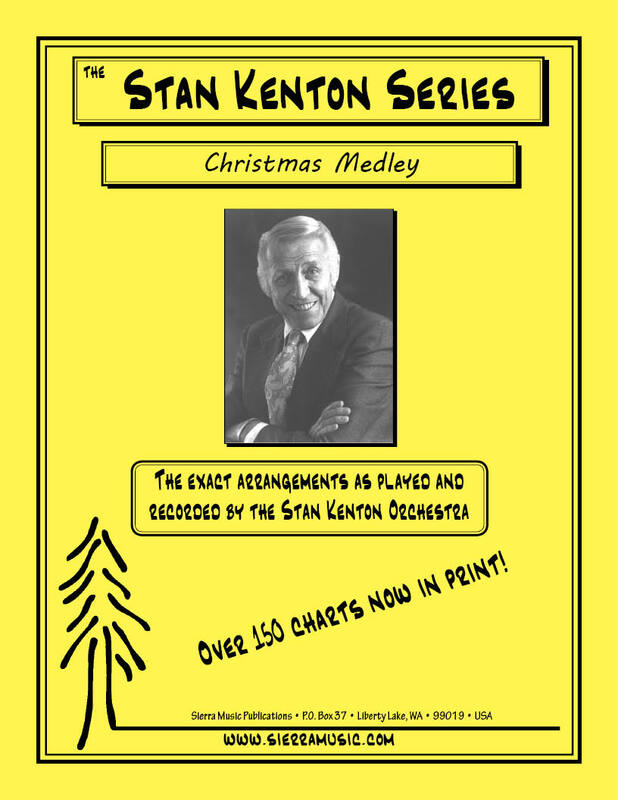 As recorded by the Stan Kenton Orchestra on "Merry Christmas", this chart has optional saxophone parts which nicely cover the french horn parts (originally written for only brass and rhythm section). This completes the publication by Sierra of all of the charts on this album. 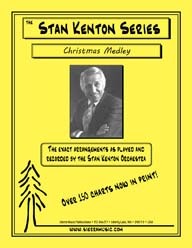 The medley contains six carols. Instrumentation is 4 horns, 4 trpts. , 4 trombones, tuba, piano, bass, drums and opt. chimes. Solo for piano only. From Kenton's "Merry Christmas" recording.